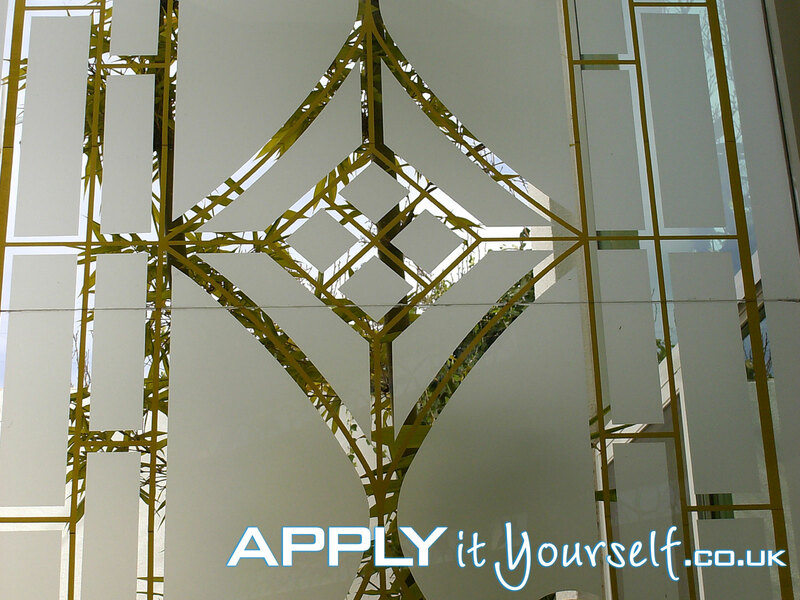 Design your own custom frosted window film in our online designer, or upload your own design. 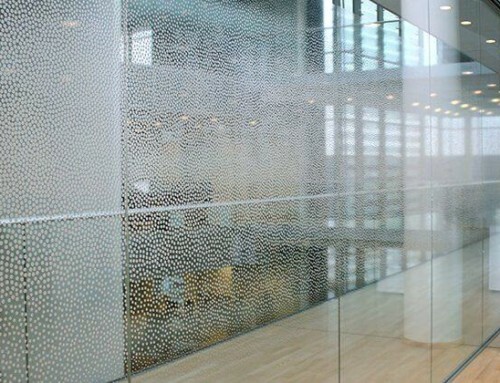 On our frosted window film cut web-page. Do you want a similar design to what is displayed on this page? 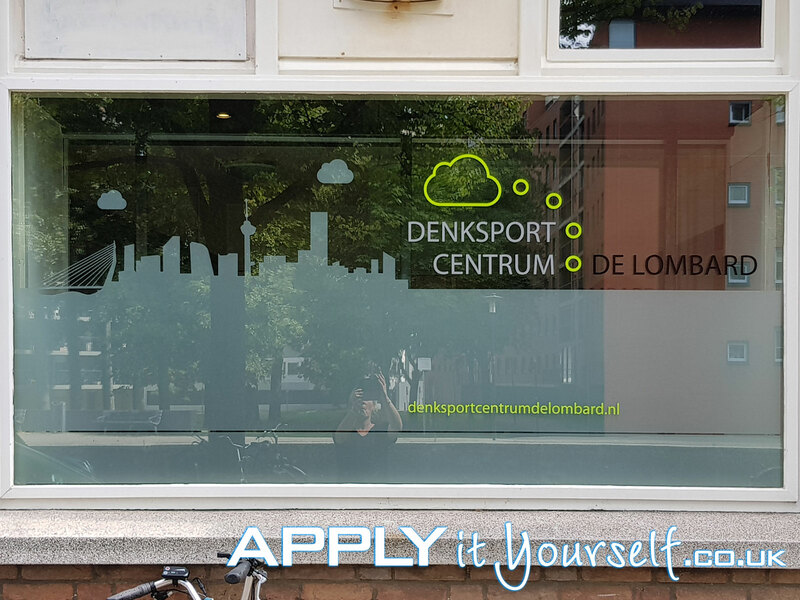 Send us an email with your wishes, window dimensions and your design/logo files. The films can be cut-to-shape, (i.e., non-rectangular shape). You can design your films to cover both sides of the glass. 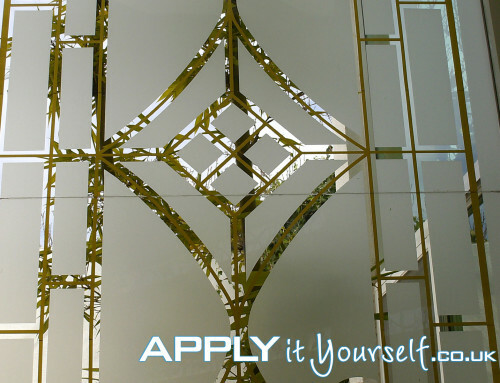 Or your design can cover both glass and non-glass walls, using multiple different types of film. If you need any help? Just send us an email with your questions. Frosted window film is translucent but not transparent. The frosted glass film is water- and weather-resistant. 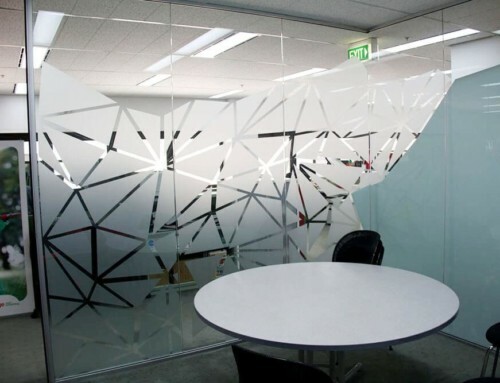 The frosted glass vinyl is a high quality, long durability film. The film blocks about 80% of UV light, but little to no visible light. The film is also anti-shatter as it keeps the glass together after it breaks. The film is also easy to remove (use a heat-gun during removal) and does not damage the glass. 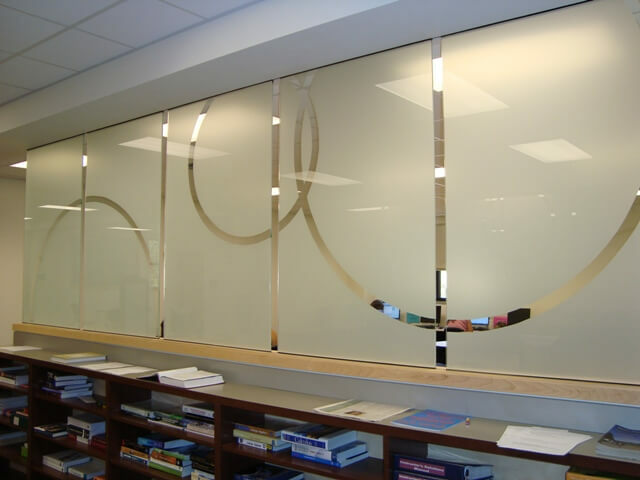 The frosted window film provides privacy. But does not block incoming light. 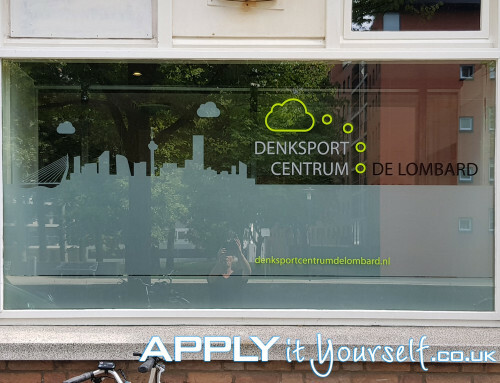 Glass walls can be completely or partially covered with frosted window film (also suitable for application on insulated glazing). Logo, branding, texts, pictographs, ornaments and abstract patterns (using squares, triangles, circles, lines, etc.) are most commonly used to cut away from the frosted film. The design can vary giving you different levels of privacy/opacity. Thus, giving you complete control over the desired level of privacy for each room. If you need any advise, guidance or help? Just send us an email with your questions or use the contact form on the top right of the web-side. 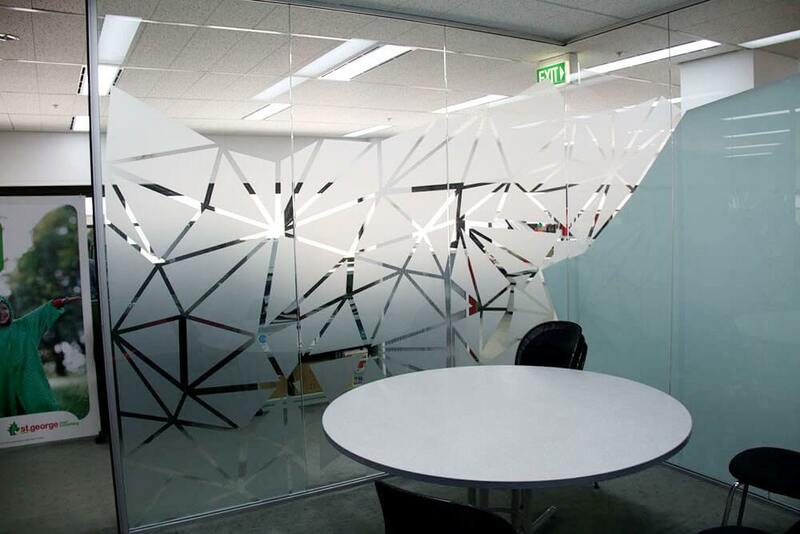 The design specifications for your window film design, you will find HERE.